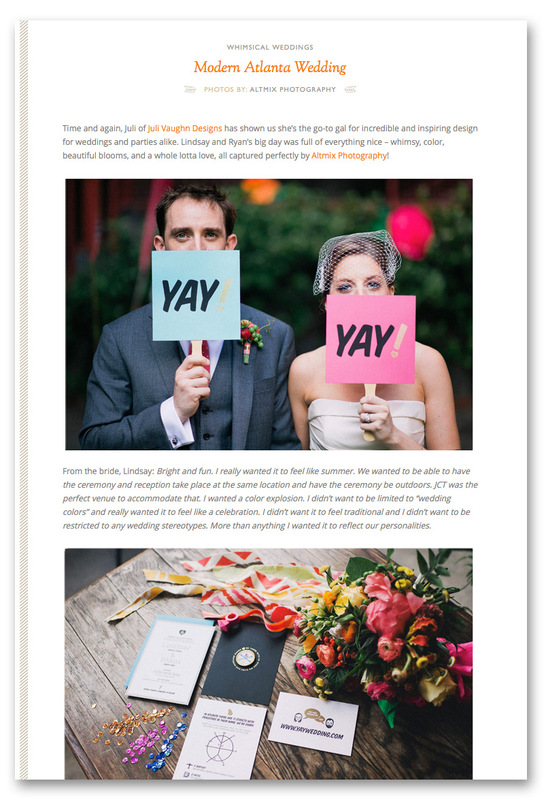 i decided that this gloomy, rainy day deserved a boost- so i’m sharing this lovely feature of lindsay & ryan‘s fabulous wedding day! matt shot this one himself, about one year ago. from the minute i saw the first image i knew it would be one of my favorite weddings ever. lindsay & ryan worked with the very talented juli vaughn and created a day full of fun, color, energy and love- what a beautiful celebration it was! and thank you so much for the feature, ruffled!